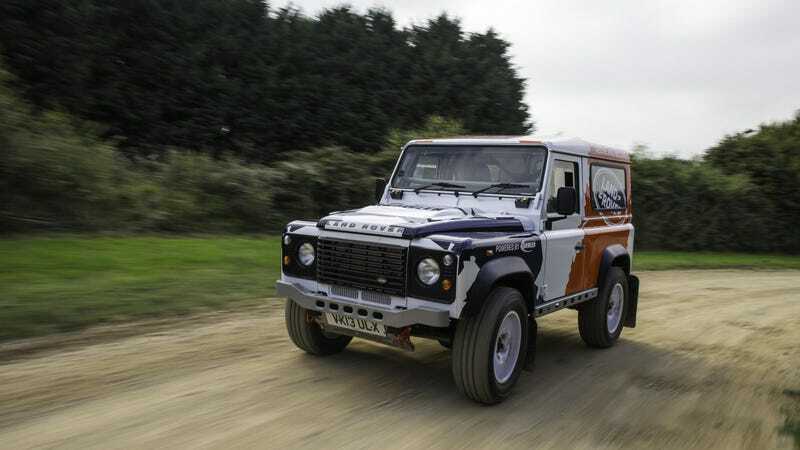 Land Rover has just announced the sponsorship of the Defender Challenge, a one-make rally series operated by Bowler Motorsport that will act as a feeder series to the annual Dakar Rally and international rally-raid competitions. Racing Defenders? Where do we sign? The Defender Challenge car is a modified Defender 90 Hard Top utilizing the standard 2.2-liter diesel engine uprated to 170 bhp by Bowler. It comes with 332 ft lb of torque and a 6-speed manual, while racing goodies include a roll cage, fire extinguisher system, a new suspension including new dampers, springs, roll bars and bushings, lightweight 18” wheels with controlled Kuhmo tires, racing seats and six-point harness, a lightweight front bumper and sill protectors, intercom system, upgraded mud flaps and mounting system, revised door casings and an optional Bowler brake package. The series will be open to anyone, with Bowler helping those without prior experience or a racing license. The car will retail at £50,000 ($80,179) plus VAT and be supplied through Bowler Motorsport. Entry into the Defender Challenge will range between $16,000 and $22,450 depending on the package selected. Sounds like a good deal for such a badass machine.